Hello dear reader, this time around I want to tell you about a nice food corner where you can get a quick snack for an afordable price. We all know how food influences our day to day lifes/activities and for all the travel fanatics out there, you all know how a simple dish can evoke so many memories from a country or a town that we have visited. If in Perugia as an Erasmus student or a future tourist then you will see how easy it is to find exotic food corners here in Perugia. The multiculturalness and frenetic vibe of this city makes it possible to take your taste buds on a culinary roller coaster ride, often times at a reasonable price. Food is also that one thing we always want to explore when travelling into a new country. 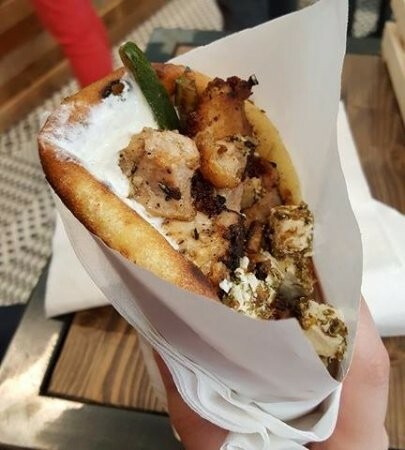 So hoping that this particular food corner will remind you of a beautiful country called Greece I welcome you to continue reading this article as I will give out more details. Well the food corner I will be talking about this time is called Lezioni di Greco which literally means Greek Lessons. Well as living in Perugia you would always find yourself in need for quick snack and this is the place to go to. 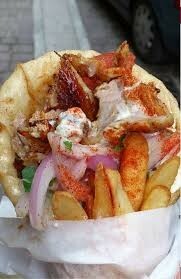 The speciality of this place is that they serve what is called in Greece pita or pitta bread. 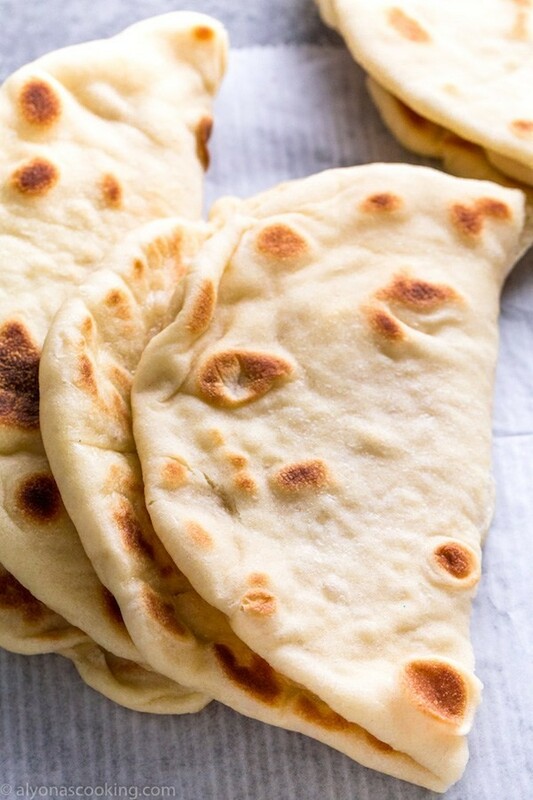 A pita bread is like a very thin flatbread which is the base for the pita itself. So as soon as you order any type of pita what they do is they grab a pre-made flatbread or pita and they warm it up on a grill by putting oil and just keep turning it around until it gets really hot. The first time I had a pita it was so amazing because it was cold outside and as soon as I had the pita in my hands, it was so hot and it felt so good. So make sure that your pita is hot when they give it to you if not you should ask for it to be reheated or replaced. First of all do know that you have both option for meat eaters and non meat eaters. So for the meat eaters you can choose from pork meat or chicken while for the vegetarian/vegan people you all can go for a vegetarian meatballs which are made of mostly chickpeas and other vegetables or from zucchini mixed with other vegetables (a friends of mine always takes the vegeterian meatballs and she loves it). For the fillings you can independently choose whatever you want. Once the pita is nice and warm usually they ask you to choose the condiments and the fillings you want. You can choose from a wide variety of stir-fried vegetables like carrots, eggplant, onions and also there are some other row vegetables like again onion rings, carrots, iceberg lettuce, olives and much more. You can also choose from three types of sourcesthere is a yoghurt based white sauce, chickpeas souce and a red spicy sauce (Achtung: be carefull when eating because the sauce is quite runny and it can get all over your clothes as you are bitting it from the top). This Greek food corner must always be on your to-go-to list because you can just simply have lunch with €5 counting in a pita and a beverage. This is not something you can get at any other food corner especially considering the fact that Lezioni di Greco is located very near to the Old Town in a spectacular street called Corso Cavour. 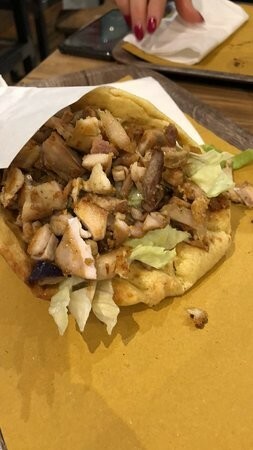 More specifically this Greek food corner is located in Corso Cavour, 214 (this means that you have to walk for just 5-8 minutes from the heart of the old town of Perugia). When looking for this Greek food corner do not confuse it with another Greek food corner called Sapore Greco which is found on the other side of Perugia. For all the salad lovers out there this food corner won't let you down. They serve what we all know as Greek salad with lots of olives, greek feta cheese, fresh vegetables and a light dressing to bring out the flavours from the rest of the ingredients. If you have never tried out a Greek salad then this is your luck day, give it a try. Who knows maybe this will be so good that you actually decide to spend a week in Greece for the next summer. So you never know what is going to be your next source of inspiration, just be positive and open to new experiences and journeys in life. Lezioni di Greco also offers a variety of typical Greek dessert like for example the baklava with nuts on top. This little sweet treats are for 1,50 euros a piece. A part from the sweet things, last time I was ordering a pita I noticed that they also provide what appeared to me as a traditional Greek alcoholic beverage in small bottles. Nevertheless you can find your usual non-alcoholic beverages like soda and water. The customer service is onpoint from how the chef/cashier manages the customer to how they prepare the pittas, as they are prepared in front of you. I usually see a young lady who prepares the pittas always busy taking orders. Nevertheless she smiles a lot and makes feel rested and at home. The interior design is the only thing that I find a bit out of place. By interior design I mean the floor is made of beatiful ceramics but the issue is that they are quite slippery, depending on the type of shoes you are wearing. The other bit of interior design that I don't appreciate are the high triangular shaped chairs: they are high chairs made of metal and wood parts. The issue is that they are way too edgy and very slipery considering that the floor is a smooth ceramic. So just keep an eye on that because I, myself, had some close to falling experiences after which I decided to not sit on them and eat outside where there is a nice long bench-like chair. Some pieces I like on the interior design are the many vintage items which are exposed on one side of the wall. There is an old television on top of some boxes, a wide variety of typical Italian comics called Topolino (which much to your surprise means 'little mouse'). On the oposite side of the wall you have a big chalboard where I assume everyone can write a though or a simple phrase in their language, giving an international flavor to this Greek food corner. The background music is always groovy and it kinda takes back in time as for the pop genere of music. Not too loud making conversations difficult but neither too low that makes the whole atmosphere louzy and annoying. Thanks for taking the time to read this article. I hope it was full of useful info. Cheers !! This content has been entered in the Erasmus Travellers Competition and have earned 696 points. Do you know Lezioni di Greco? Share your opinion about this place.